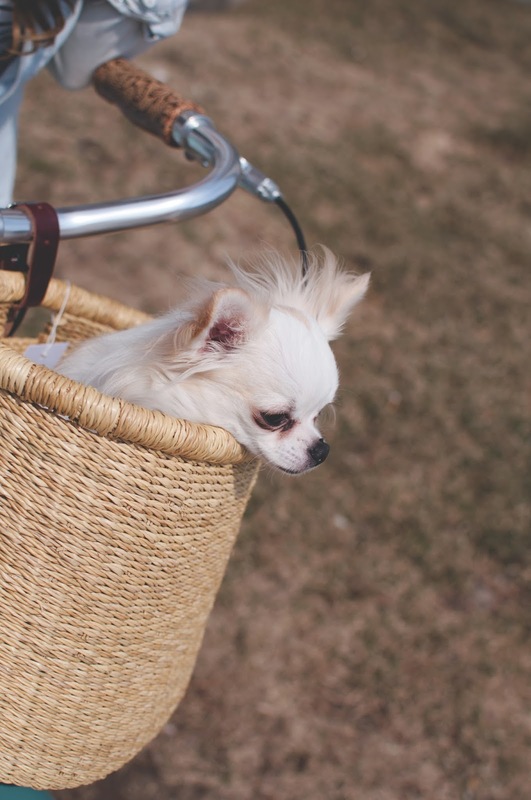 30 Before 30 - Mama's Got a New Bike | La Petite Noob | A Toronto-Based Fashion and Lifestyle Blog. The bike is the Mercier Elle City model, ordered through Bikes Direct. I was in a frantic search for a vintage step-through bike that would be practical for riding (at least 3 gears) and wouldn't hit the wallet too hard. I can honestly say that I couldn't be happier with the end result. After this season of riding, I may look to upgrade the handlebar grips, seat and maybe change the wheels but for now it's perfect! Even Fritz enjoyed a ride! Next step - getting my confidence on a bike back! I love the colour of the bike!!! It is definitely perfect for summer!! I cant wait till it gets warm enough to wear skirts without tights here in England! Thank you! Don't worry , it's just barely warm enough for a teeshirt here in Toronto - I may have jumped the gun a little bit on the bare legs! I love the colour too! I actually had found one previously at good 'ol CT, but they were all sold out! J'aime votre vélo! Il est si mignon! J'espère que je vais sortir faire du vélo beaucoup cet été aussi. Amusez-vous! Merci ma belle! We'll need to make a bike date and go together! 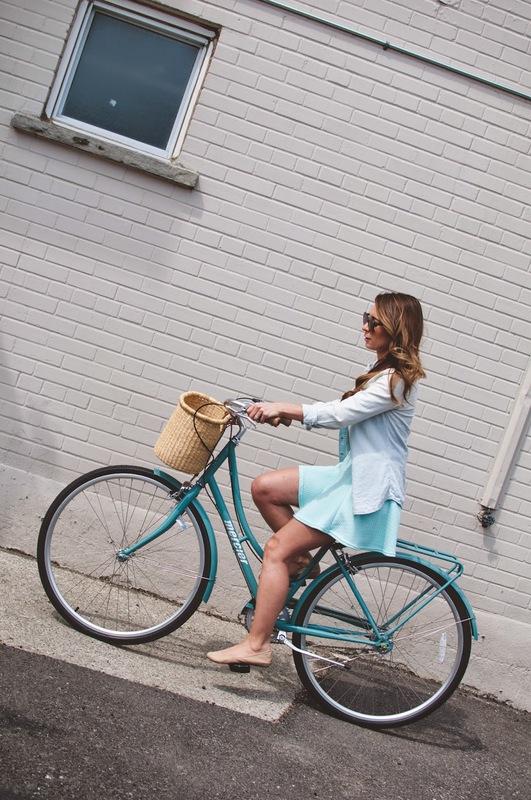 Mint bike + mint skirt = pairing perfection! Have fun with your super fun looking bike! I've been wanting a cruiser bike for so long, that one looks perfect! If only they weren't so expensive for something I'll only get to use for 5 months out of the year.